Home Apps & Software How to download and install AdBlock safely? AdBlock is a powerful and the most downloaded extension for Safari and Google Chrome browsers. It blocks ads from interrupting your browsing time. AdBlock does not need your personal details to run and it does not monitor your browsing. With AdBlock exception are easy, it does not block unobtrusive ads to support configurable websites. It can whitelist others with just two clicks. It removes YouTube video advertisements before you view them. Just press the play button. It is an amazingly powerful extension and it can block everything like pre-video ads on YouTube. When the AdBlock blocking ads, you can observe that the logo of the AdBlock glow red in your Google Chrome taskbar. It provides a list of filters that allows you to delete or add sites from the add-ons panel. It is significant to filter websites that you do require Flash pop-ups to build up like Grooveshark consecutively for applications to work perfectly when the AdBlock is working. This powerful blocking tool can make your page look a bit blank, but it will be effective. 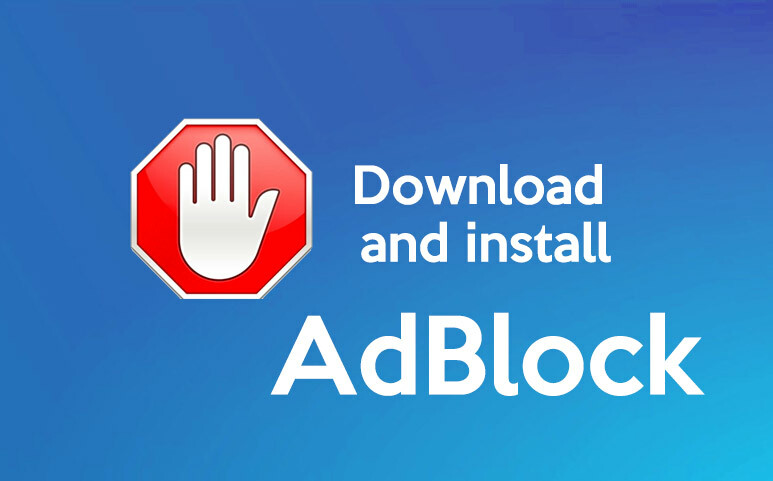 The first step is, go to the download page at adblockplus.org and select internet extension and click on the browser version that is applicable to your computer. If you are not sure, then press selects the 32-bit version. Now, press “Run” appears in the dialog box. It will download a file, and you just wait till it complete, and then just press “Run” again. Once the installer starts, you have to press “Next” and then press ‘Install.’ Once you will press install, the installer will run and you must press “Yes” when you see a dialog box that says “User Account Control.” AdBlock is a small program so it does not take much time to installation. Once the installation is completed, press “Finish.” Close the program once it is done, and again open the program. Once the AdBlock is installed, you can see a small red-icon on the right bottom side of the browser. As it is there, you can confirm that it is successfully installed, but you should also make sure that if it is working or not. Now, open a new tab go to the Google search, type in a large advertised term like Car Insurance, and you can observe there are no ads appear that usually present at the top. Now, you have successfully installed AdBlock and now, you are free from ads. Install: Go to the getadblock.com and press Get AdBlock Now or Get from the Chrome Web Store. Now, press, add to Chrome, and press ‘OK’ to allows the AdBlock requests. Install: Go to getadblock.com and press Get AdBlock Now. Now, open downloads folder and press AdBlock.sfariextz and press install from the gallery. Once you install AdBlock, you will notice that most advertisements are not even downloaded at all. This allows you to focus on browsing your content as you like without any interruptions, and now you can avoid waiting time as well. Next articleHow to download and install Avast safely?